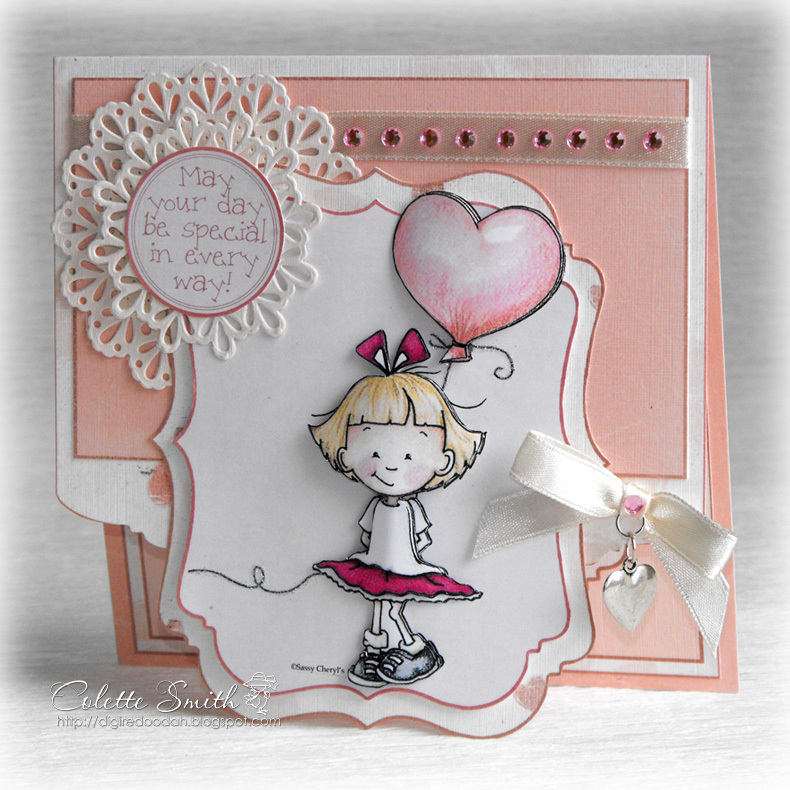 The second invitation uses pretty dusky pink and white satin ribbon and a fab and glitzy diamante embellishment. The photo doesn't do the pretty vellum glittered paper justice, it's so delicate and sparkly in real life. I have recently made a few (16 LOL!) 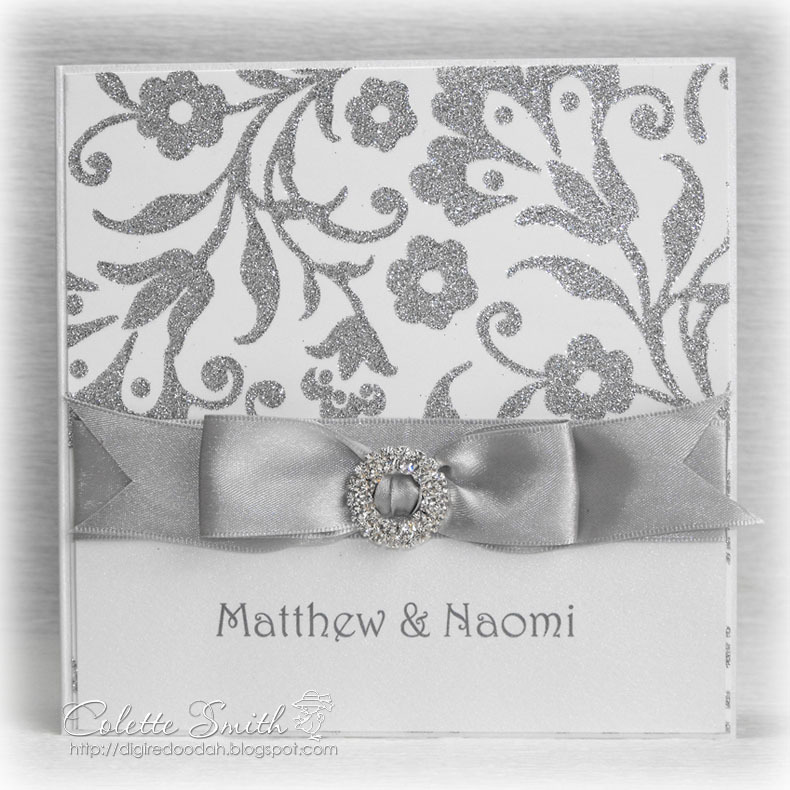 wedding invitation samples, and will be showing them off here over the next couple of weeks. 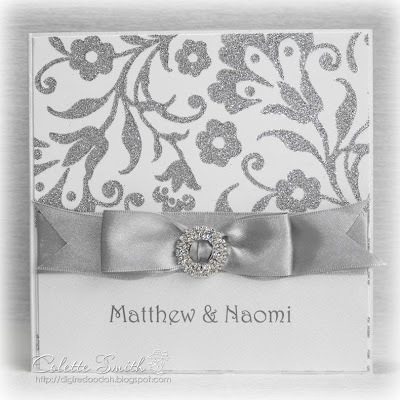 This card along with all the others uses, gorgeous ribbon and diamante ribbon sliders from Meiflower. See you tomorrow for the next one. 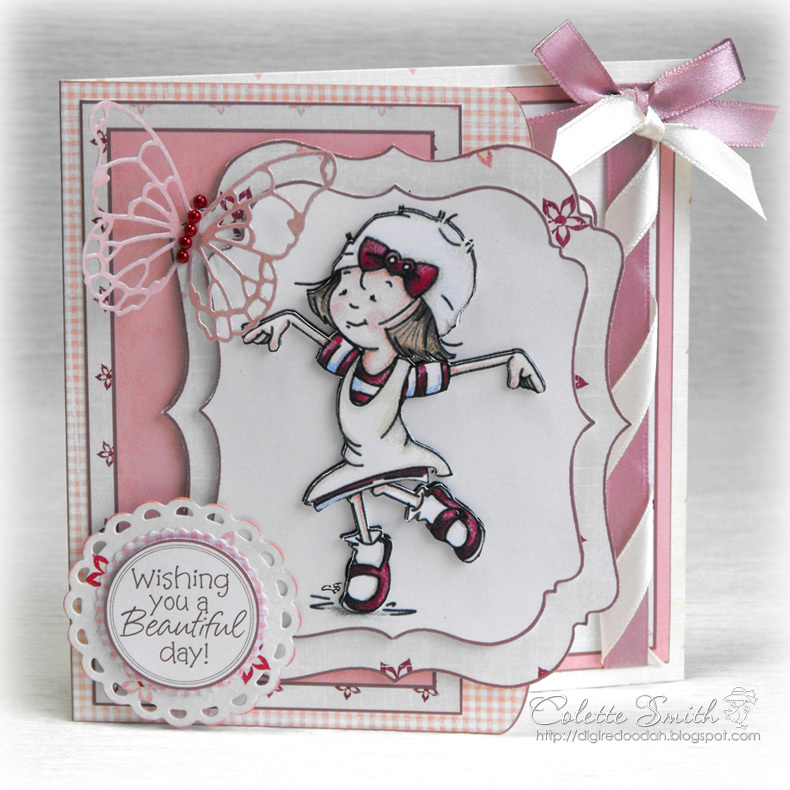 I made this card for a Bow Crazy challenge and used the fabulous little metallic ribbon bows from Meiflower for the bow part of the challenge. The ready made bows are really handy to add an extra little touch and perfect for wedding invitations or any other bulk card making as you don't have to fiddle about tying a bow, it's all done for you. 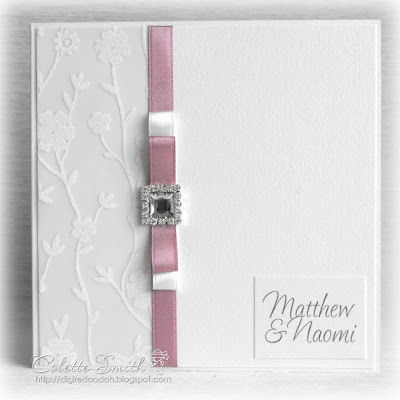 There are also a couple of Meiflower stick on gems on the card. I have a birthday card to show you today using a fab Sassy Cheryl image called Hanging out to dry, I wanted to do something a little different than a standard card and this is what I came up with. 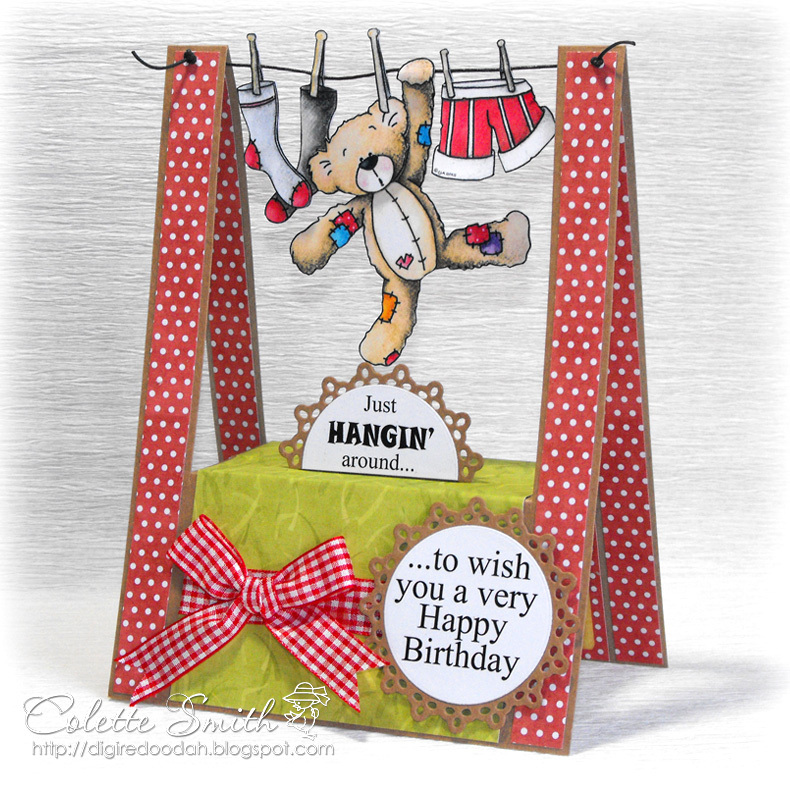 I used waxed cord to make the washing line and some gorgeous wide gingham ribbon to add a bow, both from Meiflower. 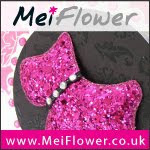 This weekend at Meiflower there is also free shipping on all orders over £5. 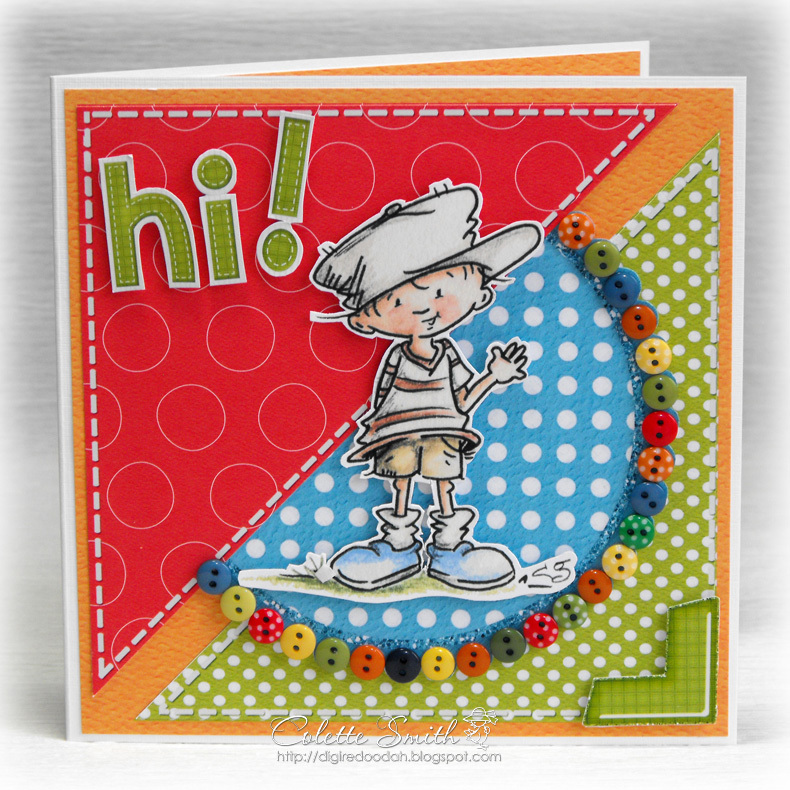 Here's a card made using a pre-coloured Sassy Cheryl image from Paper Creator and lots of Meiflowers little bitty buttons. There are heaps of colours to choose from in the buttons in both plain and polka dot, although you would have to phone your order through if you wanted to buy some as they're not on the website yet. Here's a card I made using the Heart Balloon Front stand kit from Paper Creator, I added Meiflower ribbon, gems and pretty heart charm to finish it off. 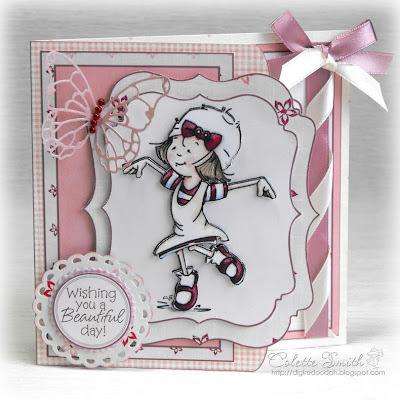 Just dropping by to show you a card a made for the latest challenge over at Paper Creator, using ribbons and a few burgundy pearls from Meiflower. I wrapped cream satin ribbon around the dusky pink satin ribbon, then added a bow in pink, but slid a small piece of ivory through the knot of the bow before tightening and then tied the ivory ribbon into a knot too. The burgundy pearls were perfect for the butterfly body. Here's a card I've recently made for a friend for her Grandson's birth, and yes you are seeing the date right, he was born 10 months ago!!! she's only just realised that she didn't get a card made for him when he was born! 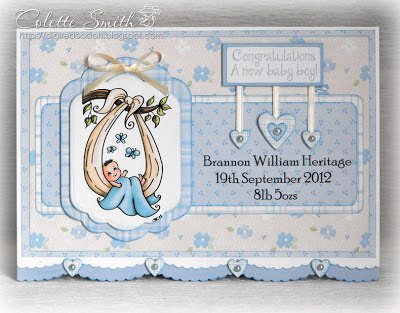 I've added some pretty narrow satin ribbon and light blue pearls from Meiflower.